Does your business need an efficient and regular waste collection? Do you need a waste collection service that includes recycling of a wide range of materials? Then for the best and most efficient Basingstoke waste collection, G.H.S Recycling Ltd is the company to choose. With over 30 years of experience in the waste industry, G.H.S Recycling Ltd is able to provide our Basingstoke customers with a comprehensive waste removals collection. Why Choose Our Basingstoke Waste Collection Services? Throughout the week, many businesses produce a substantial amount of waste which needs to be collected regularly. G.H.S Recycling Ltd will take care of all your waste so that you will be able to concentrate on more important matters. 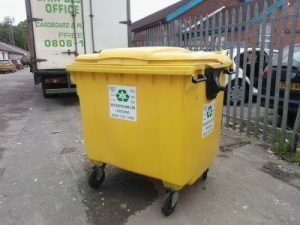 Unlike other waste collectors, we provide our customers with a fully tailored waste collection service to suit the needs of your business and property. So whether you need a regular collection or bi-weekly collections, we will strive to meet your Basingstoke waste collection needs. 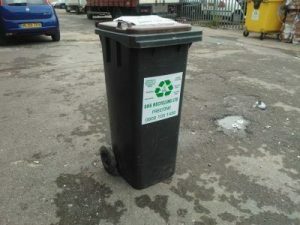 G.H.S Recycling Ltd also provides a broad recycling service to meet the needs of every business. Due to our range of recycling plants, we are able to recycle a huge range of materials like paper, newspapers, plastics, cardboard and drink cans. At G.H.S Recycling Ltd, we provide the following waste collection services for our Basingstoke customers. Depending on the size, many offices often produce a substantial amount of waste every week. As part of our general waste collection, we also provide recycling collection and can recycle a huge range of materials like paper, cans, plastics and many more. We can also provide advice and bin bags to help you and your office recycle more. Cardboard is often a material that many businesses owners find very difficult to recycle and some waste collectors do not accept the material. Our cardboard recycling services will get rid of the cardboard from your property and recycle it for other uses. This will make a noticeable contribution to your waste output. Similar to cardboard, plastics can be difficult to recycle however at G.H.S Recycling, we believe in meeting all of our customers’ recycling needs. G.H.S Recycling can recycle clear or coloured polythene films, bulk bags, film and nylon/polystyrene/polyester wadding. Businesses are obliged to keep confidential data protected and store this data securely. G.H.S Recycling Ltd is able to destroy any confidential data that your company may store. All materials will be kept in a secure area which is monitored by CCTV and handled by our uniformed employees who have signed a confidentiality agreement. With every waste disposal, we will provide you with a certificate to certify that it was destroyed in a proper manner. For all of your Basingstoke recycling and waste collection needs, choose only G.H.S Recycling. If the material that your business disposes of has not been listed, do not hesitate to contact our team today and we will inform you of the options that we can provide you and your property. For more information, please contact 023 92670 399 or email us at: info@ghsrecycling.co.uk.